Dear Chancellor, please consider the impact of the comprehensive spending review on 26th June 2013 on the National Media Museum in Bradford. Further government cuts to the Science Museum Group’s annual funding will most likely result in the closure of the National Media Museum. This loss will be a devastating blow to the City of Bradford and a tragic outcome on an international scale. The forthcoming government cuts to the Science Museum Group’s (SMG) annual funding will have a massive impact on the daily running of four of the UK’s most visited Museums. Led by the Science Museum in London, the SMG also includes the National Railway Museum in York, the Museum of Science and Industry in Manchester and the National Media Museum in Bradford. 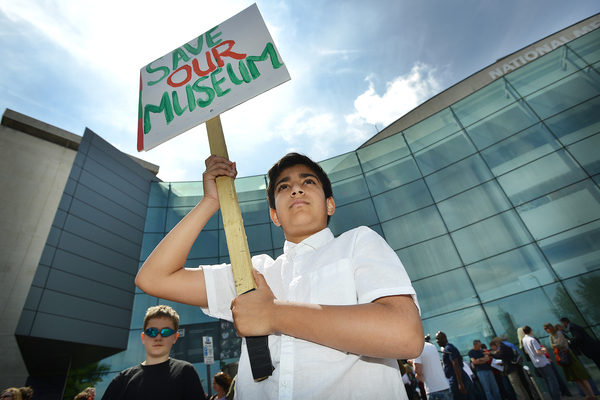 Ian Blatchford, Director of the Science Museum Group has stated that a further 10% cut in funding in the next round of government spending proposals meant “almost certainly” one museum would shut. Out of the four Museums the National Media Museum in Bradford has the least visitors annually and is the most at risk to closure.